With the United States National Park Service (NPS) having its centennial in 2016, I have been noticing a lot of branding opportunities that go along with that event. Some of their making and some because of litigation. 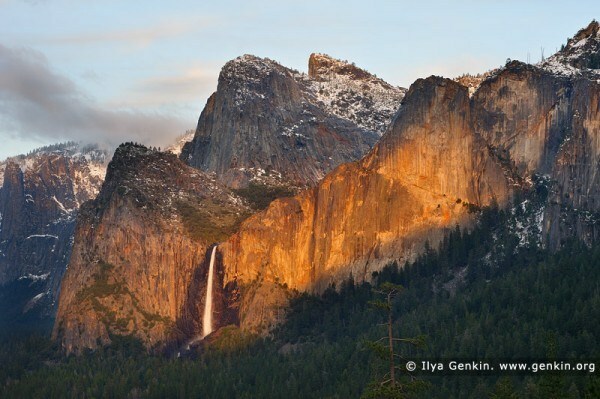 On the Yosemite Park website, there is a page which is discussing how various places and things are changing names. Not that the NPS wants to do this as part of the centennial, but because they are changing providers of services in Yosemite – hotels, activities, restaurants, stores – and the company which lost the $2 Billion bid is claiming in a lawsuit that when they won the contract in 1993, they were forced to buy the intellectual property (names) along with the liabilities, buildings, and all the other assets of a company which would run the park. I won’t get into all the messy details between Delaware North, the NPS and the new company Aramark, because this is a marketing blog, not a legal blog. Here is a partial rundown of the changes: as of March 01, 2016, The Ahwahnee will be called the Majestic Yosemite Hotel; Curry Village, down in the valley, will be Half Dome Village; The Yosemite Lodge at the Falls where I stayed with my parents in 1968, will be the Yosemite Valley Lodge; The Badger Pass Ski Area will be Yosemite Ski & Snowboard Area; and The Wawona Hotel will have the uninspiring name of Big Trees Lodge. Oh, and that famous saying ‘Go Climb a Rock’ which was on the t-shirt it seemed we were ‘legally forced’ to buy to prove we had been to The Park, is also owned by Delaware North. The legal portion is going to be costly, but imagine having to change all your names and being told that you cannot use a trademark? All the old maps will become collectors’ items. And all new merchandise will have to change. All the websites will have to be updated. The search for every use of every name is going to be a huge undertaking. Will it cost more than $51 million? Evidently not or Delaware North would have been paid off and sent on their way. In this case, although the contract seemed to call for Delaware North to get paid for what they had to buy, they are going to become the bad guy as all of these name changes will not be popular with attendees of The Park. I would consider this a Public Relations issue of which Delaware North must have weighed the pros and cons of knowing that people would actually know who they are (come on, who really knows who runs the parks for the NPS?). My guess is that it came down to a ‘whatever’ attitude. This is not a rare occurrence. There was an independent American Film distributor we did business with that renamed themselves First Look Pictures. Their name came into being just before HBO was beginning to use the term for a program. No harm, no foul, because of different uses of the same term, but if HBO had wanted to, there could have been an issue because both were in entertainment. First Look would have won, but at what cost? There are lots of companies who have the name First Look, but now they are overshadowed by the larger user. • At the least, you should know the first time you use a term in the public sphere. For example, I know that the first time I used the term “Picture Niche” on video was September, 2015. • You can have an attorney do it. • You can contact the US Patent office. • You can buy a URL and build out a website which talks about your service, product, method. • Avoid common terms, but riffing on them is great. We have a client who uses the term ‘Emplayment’ instead of ‘Employment’ seminars. For another client, we came up with the name ‘Day of Stealth Discovery’ as a way of the participants learning in a stealthy manner. • When it comes to URLs, using common terms for what you do is a bit dangerous, business wise, which is also one of the main reasons I always say to own your name in a URL because if you are a small company, you are the brand. • You can include it in blogs. • You can write up the process, service, method and mail it to yourself, return receipt, and never open the envelope. You should do this in two envelopes, put them in different safe locations. • You can give away promotional products with the name on it. The naming of your company or a new service or new product is an important decision. Take it seriously and take your time doing it. For assistance, you can check out our website at www.SedonaMarketingRetreats.com or give us a call at 800-705-HANK (4265). See, even picking a phone number is an important task.